And Aly wants to make it clear that Sarrah had nothing to do with this hiatus! It was all her. She apologizes. Now let’s move on. 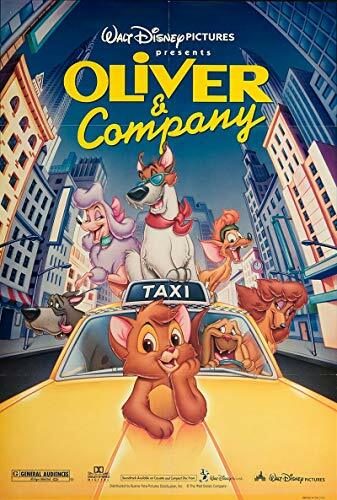 This week we are heading back into late 80’s nostalgia with Disney’s 1988 masterpiece: Oliver & Company! Aly starts us off by telling us all about Charles Dickens (you may have heard of him), the author behind the source material for this movie: Oliver Twist (you may have heard of it). She also breaks down Oliver Twist itself and what elements were taken or altered for Disney’s family friendly film purposes. So if you’ve ever wanted the Cliff’s Notes of Oliver Twist for your highschool purposes….I mean don’t fully trust us. But here you go! Sarrah chimes in with some fun facts about where this movie began. From gong show meetings to an original opening where dobermans kill Oliver’s parents Batman-style, to the fact that there was almost a panda? Yeah, this movie went weird places. In Voice Cast Corner we see the Disney debut of Cheech Marin and Dom DeLuise! We also learn that this was the first Disney movie to contain real-world advertising (because New York). As of at least fall 2018, the Disney Store does have Dodger and Oliver plush. Yes, Aly owns the Dodger plush. Don’t judge. 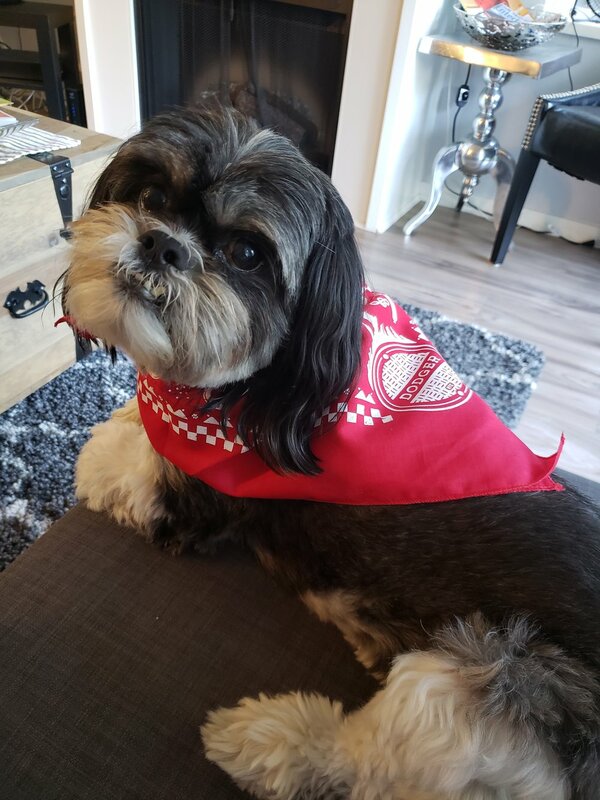 The store Aly bought the bandanna from was called “Whosits and Whatsits”. Here is a photo of Poddog modelling it for your pleasure. So try not to worry, because while perfect isn’t easy…this episode comes pretty close. So let’s all hit the those streets of gold with Dodger and the gang and watch Oliver & Company! Voice Acting: Full Star- This cast is amazing. Each actor brought so much character and detail to their role. From DeLuise’s endearing patheticness as Fagin, to Midler’s outstanding choices and bravado as Georgette. This movie is driven by it’s characters. Music/Songs: Full Star - These songs are catchy as hell. Sure, there’s some less memorable ones. But try to tell us that ‘Why Should I Worry’ isn’t one of the best Disney songs. We’ll fight you. Looking at you Siskel. Script/Story: Half Star- It was a valiant effort to adapt a massive story. There were some fun one liners and great characters, but the plot was chaotic and the whole finale was super messy. Animation - Full Star - Sarrah looked for faults and couldn’t find any. Style -Full Star - This movie differs from most other Disney movies. It brings us back to the sketchy style of 101 Dalmatians and has some beautiful watercolour-esq backgrounds. We like it’s uniqueness. Dickens, C. and Horne, P. (2003). Oliver Twist,. London: Penguin Books.